Capture time, tripod-free long exposures, and advanced stabilization. 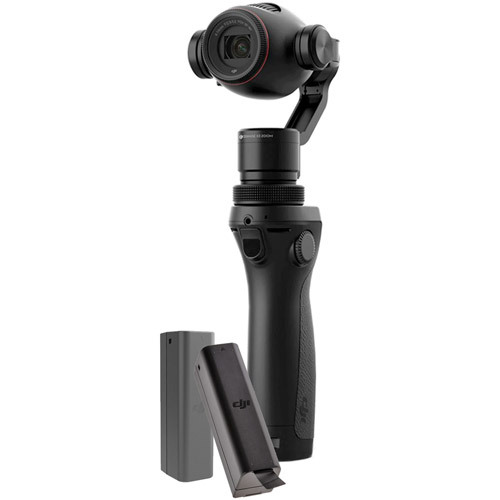 the DJI Osmo helps you record videos and take photos like never before. the shutter speed. The camera will rotate, capturing images as it goes while staying completely level. Don’t just get a snapshot of a piece of your travels. Make a memory of the whole scene. The grip on the Osmo is precisely engineered with materials selected for comfort and durability, and designed to ergonomically fit the palm of your hand. Conveniently placed buttons and controls keep important functions by your thumb for instant access. Put your smartphone in the included Phone Holder to see what your camera sees and control it with a tap of your finger. Your phone is also the home of all the Osmo’s powerful intelligent shooting modes. An integrated microphone allows onboard audio recording. With advanced controls like audio gain settings, you can be sure you’re not only getting the shot but also capturing the sound. A standard 3.5mm port is also available, so you can plug in your own microphone. The Osmo supports a number of mounts and extensions so that you can use it in almost any situation.